You are here: Home / "How To" Guides / Can You Melt Chocolate In A Toaster Oven? Can You Melt Chocolate In A Toaster Oven? Learn how to melt chocolate in a toaster oven! 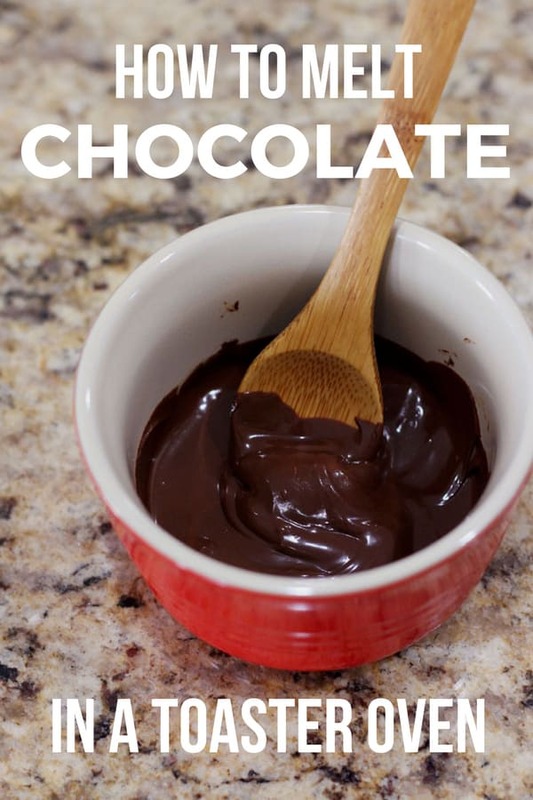 Why bother with a double boiler or the microwave when you can use this simple kitchen hack anytime you need a tiny bit of melted chocolate. 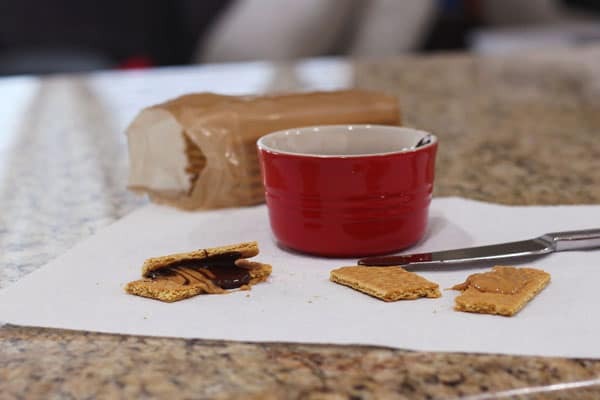 With the help of your toaster oven, you can melt the perfect amount for drizzling on a small batch of cookies or dipping graham crackers with peanut butter in – hello, tasty late night snack! Staring at the bag of white chocolate chips, I considered my options. Just 1 ounce of chocolate. That’s all I needed to melt. A double boiler would be a huge waste of time. The microwave was a better choice, yet still iffy since I can never remember how to adjust our power settings. Yes, you can and there’s actually more than one way to do it! Method #1 uses your toaster oven’s warming function. Method #2 uses an already warm toaster oven (from cooking another dish). The second method is my favorite. It’s the easiest and will make you feel like you’re hacking your toaster oven since you don’t even need to turn it back on. Step 1. Adjust your toaster oven’s baking rack to the middle position (if you remember – a lot of time I usually forget and use the bottom placement like in some of the pictures below). Step 2. Turn on the Warm Function. Alternatively, you can set your toaster oven to 150 degrees. Step 3. 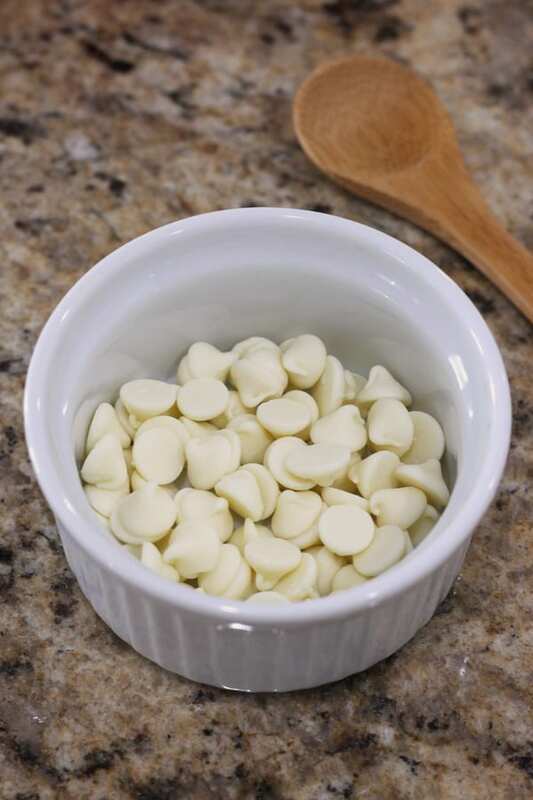 Add 2-3 tablespoons chocolate chips or chopped chocolate to a small oven-safe ramekin. Step 4. 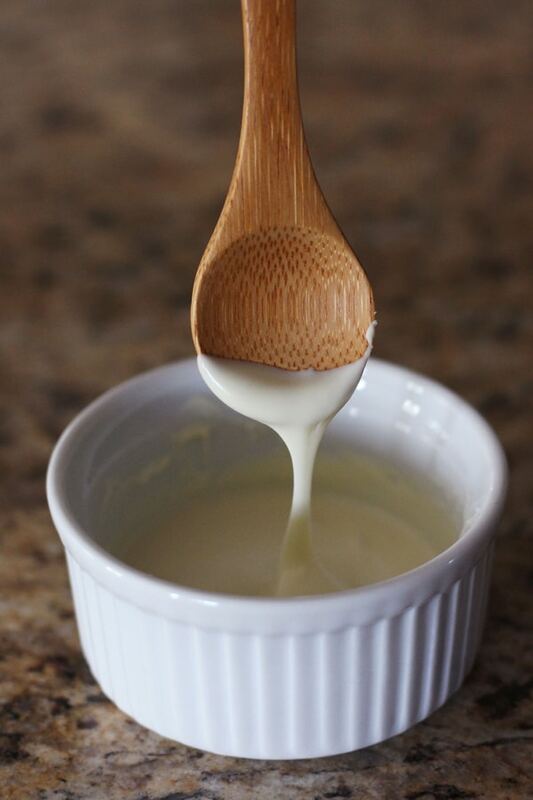 Place the ramekin in the center of the baking rack and close the door. It should take the chocolate about 3 to 5 minutes to melt. Though it may take longer depending on the type of chocolate used and your toaster oven. During this time, you should stir the chocolate every minute or two until almost entirely melted. Step 5. 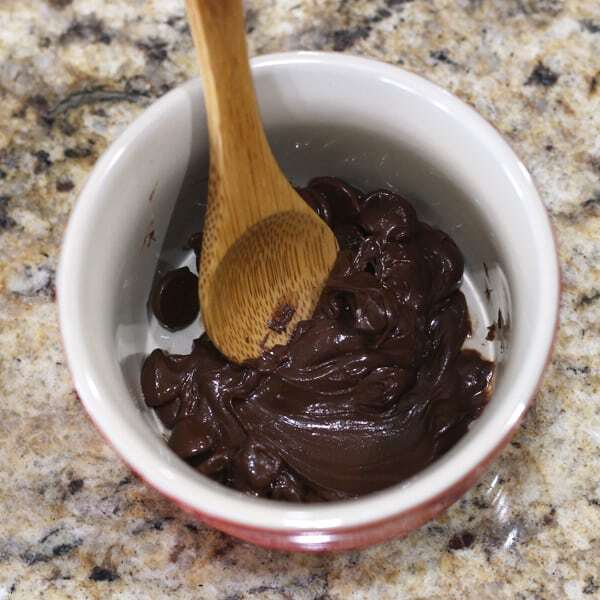 When just a few chunks remain, remove the bowl from the toaster oven and stir the chocolate until completely smooth. Have you ever tried to clean your toaster oven right after cooking with it? Probably not since your little oven stays warm for a loooooong time after cooking. While that residual heat might hamper your cleaning efforts it’s great for gently melting a few tablespoons of chocolate chips. *Note: This method works best if the temperature you were previously cooking with is below 400F and closer to 350F or 325F. 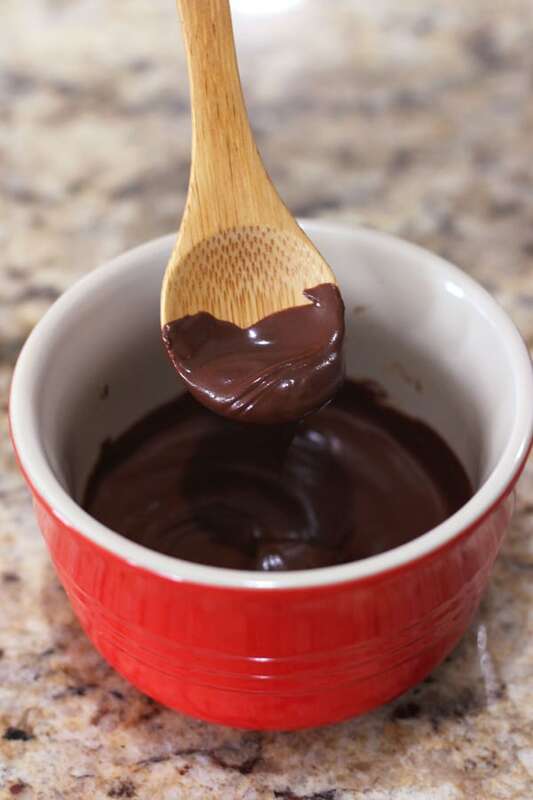 To melt the chocolate, add a few tablespoons of chocolate chips or chopped chocolate to a small toaster oven-safe ramekin. Carefully place the ramekin in the center of the baking rack and close the door to your toaster oven. Give the chocolate a stir after a minute or two, the chocolate chips will become shiny as they melt. Remove the ramekin from the toaster oven once almost all of the chips have melted and stir until smooth. Our chocolate usually melts quicker using this method, about 3 minutes. 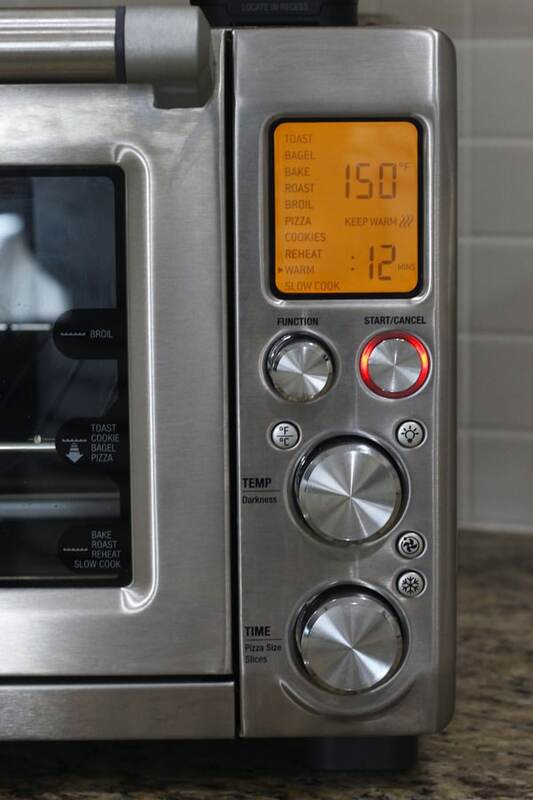 You’ll probably need to do a little experimenting to discover what temperature and time work best for your specific toaster oven. Also, I’m not sure how well either of these methods will work for melting large amounts of chocolate (like a whole bar or bag of chocolate). You can dip peppermint shortbread cookies or vegan lemon macaroons in it. Drizzle some over a cranberry orange snack cake. Or grab a jar of peanut butter, a few graham crackers and go nuts. 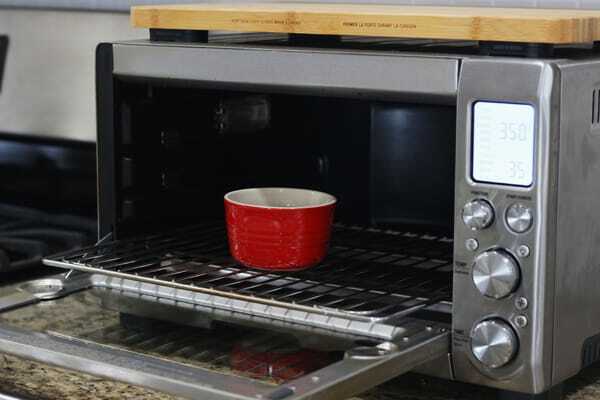 What’s your favorite toaster oven hack or trick? Share in the comments below!